All Forums >> [Artix Entertainment Games] >> [AdventureQuest] >> AdventureQuest General Discussion >> AQ Design Notes >> =AQ= April Z-Token Package! 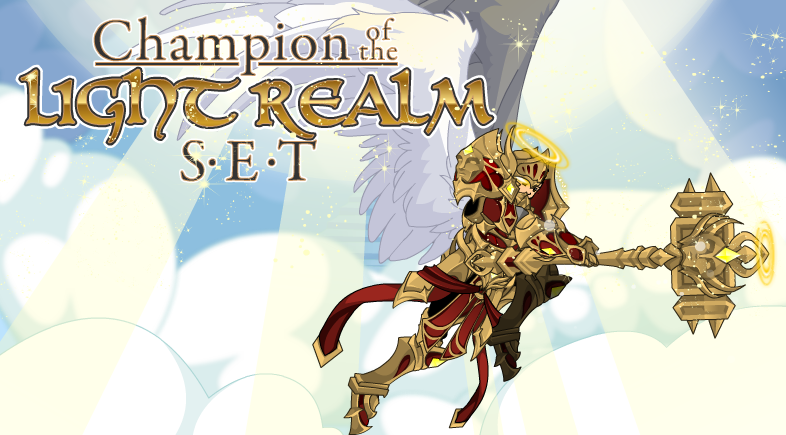 A new Champion Package is coming this week to the 50000 Z-Token package! Wield the power as a Champion of the Light Realm and ascend your enemies into the Light Realm to blind them with it's radiance! The War Hammer can also switch between Magic, Melee, and Ranged damage types!